This has been a long and productive summer! 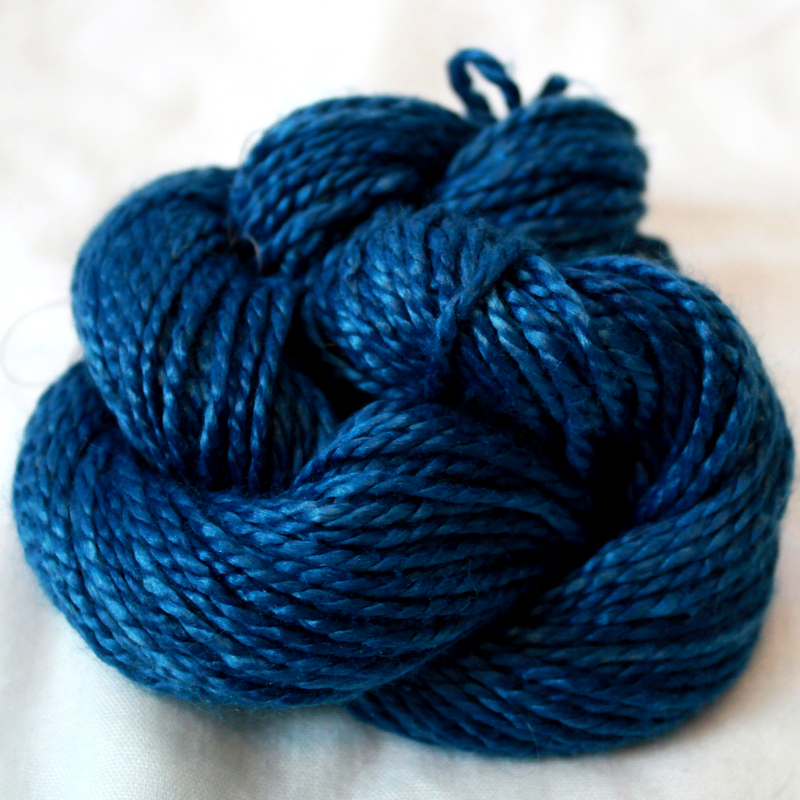 Our family traveled to Europe to visit the grandparents, my son learned to walk and say half a dozen words, and I have developed a family of pure indigo colorways for a variety of silk yarns. 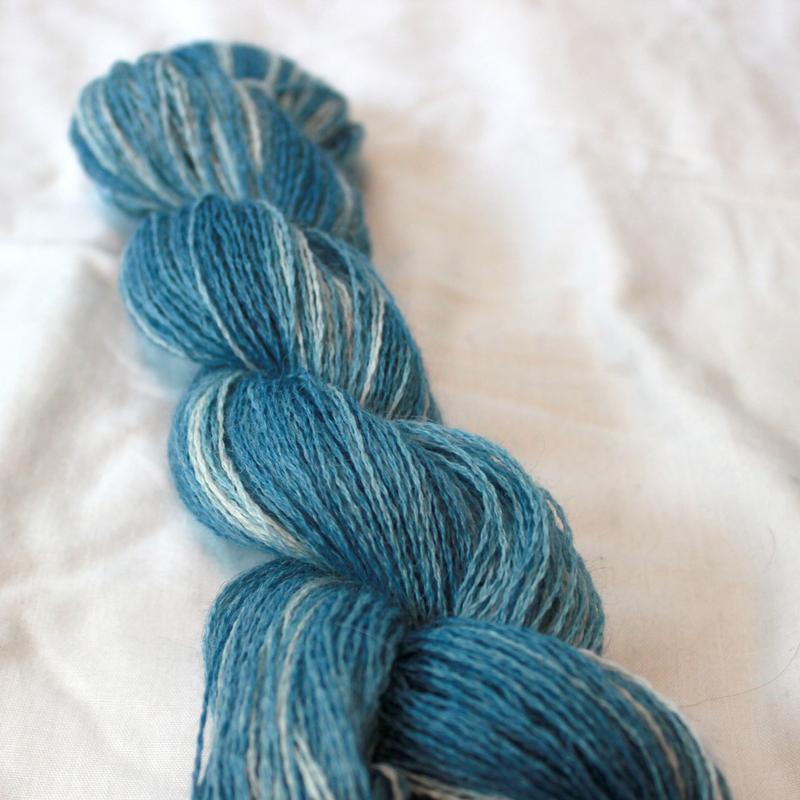 I have to admit I have serious affair with silk. 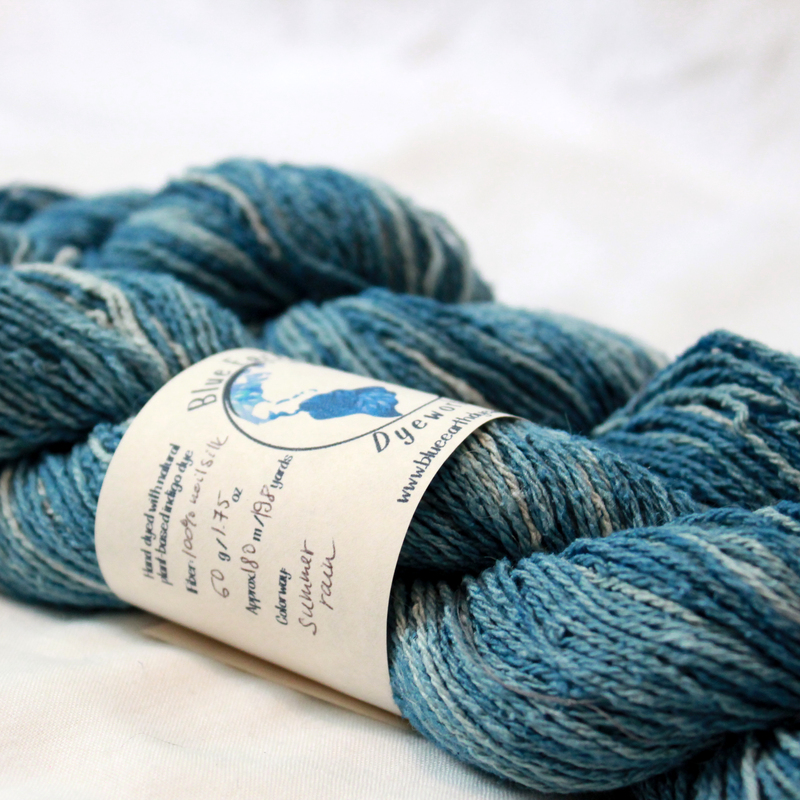 Every knitter who has had the good fortune to get her hands on some spun silk or pure tussah silk could fill volumes about the sheen, the softness, and the drape. 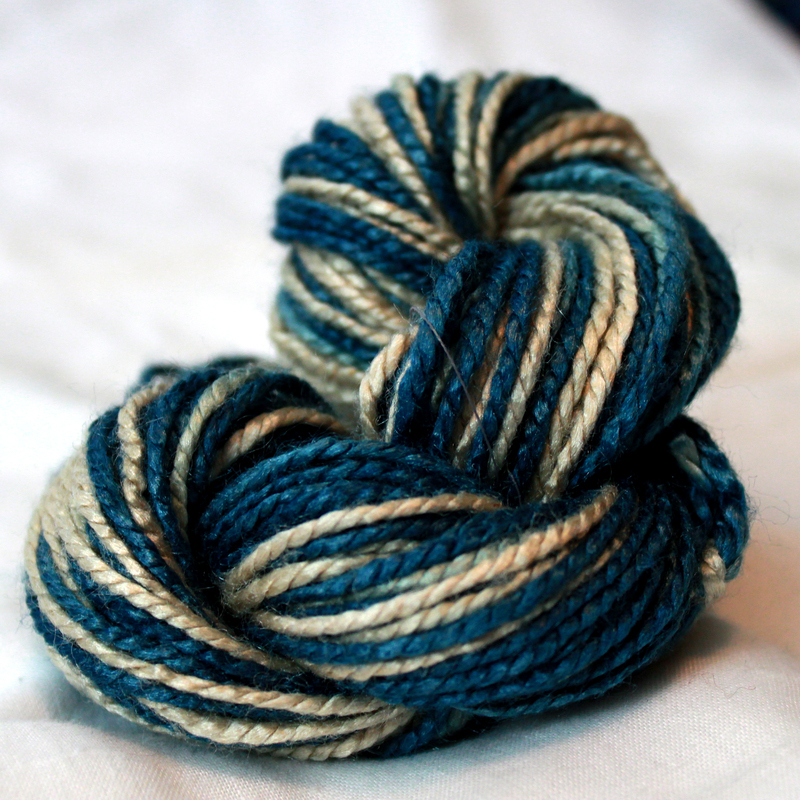 My favorite yarns all have at least some silk in them – even a little bit of silk makes wool or cotton stronger, more lustrous, and a real treat to touch. 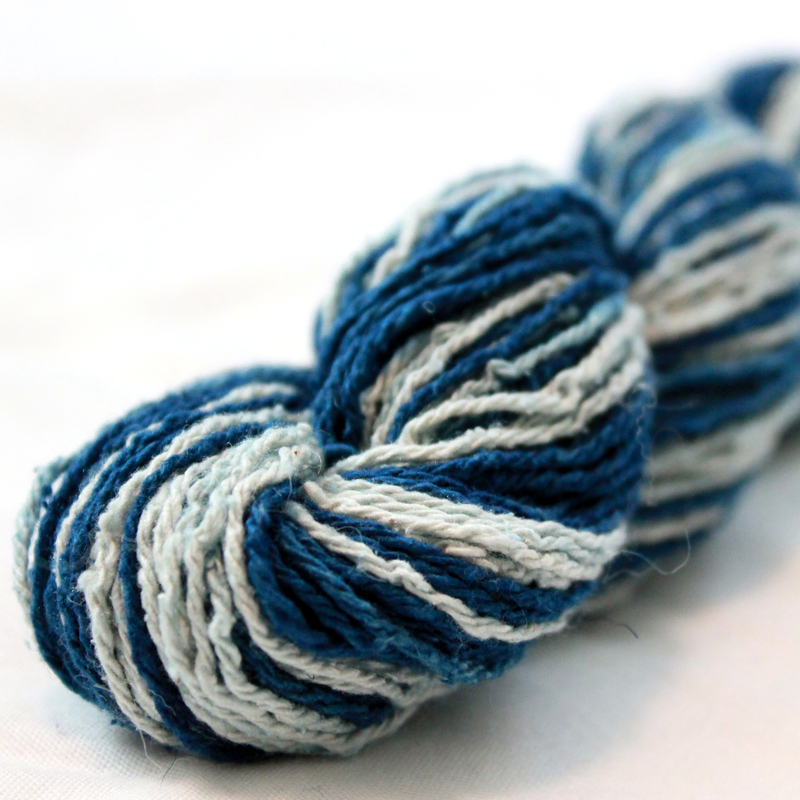 In addition, as a dyer I have been impressed for many years with the ease and grace with which silk takes colors. 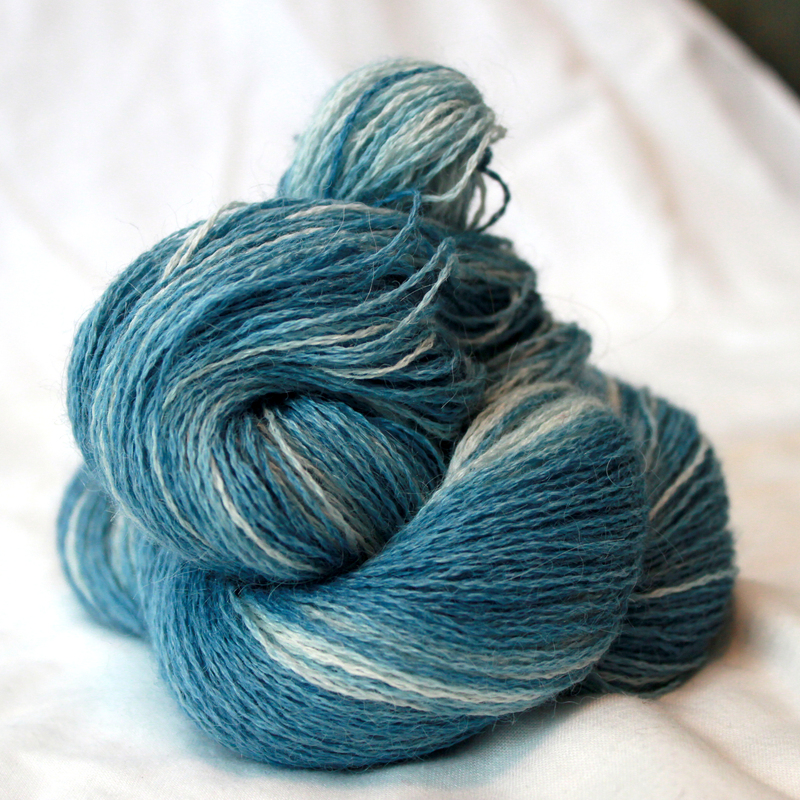 Wool has loftiness and warmth even in lighter yarns, and cotton is airy and breathable even knit to a heavier fabric, but as far as the visual pleasure of color goes, nothing tops silk. 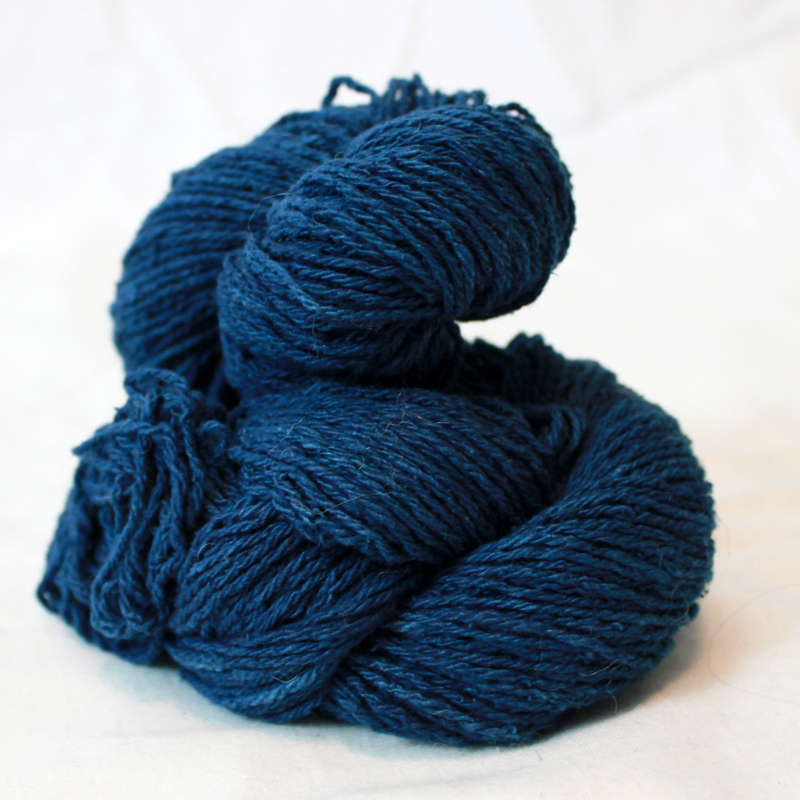 Especially when coupled with the rich and varied tones of indigo, from the brightest sky blue to the deepest purple. 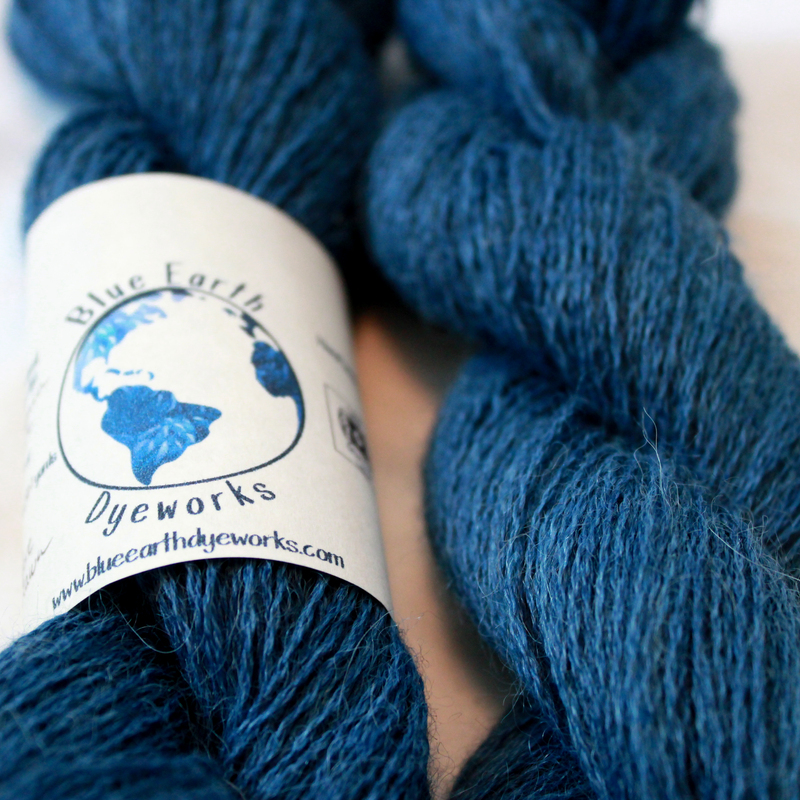 I hope you’ll welcome the first yarns of Blue Earth Dyeworks. 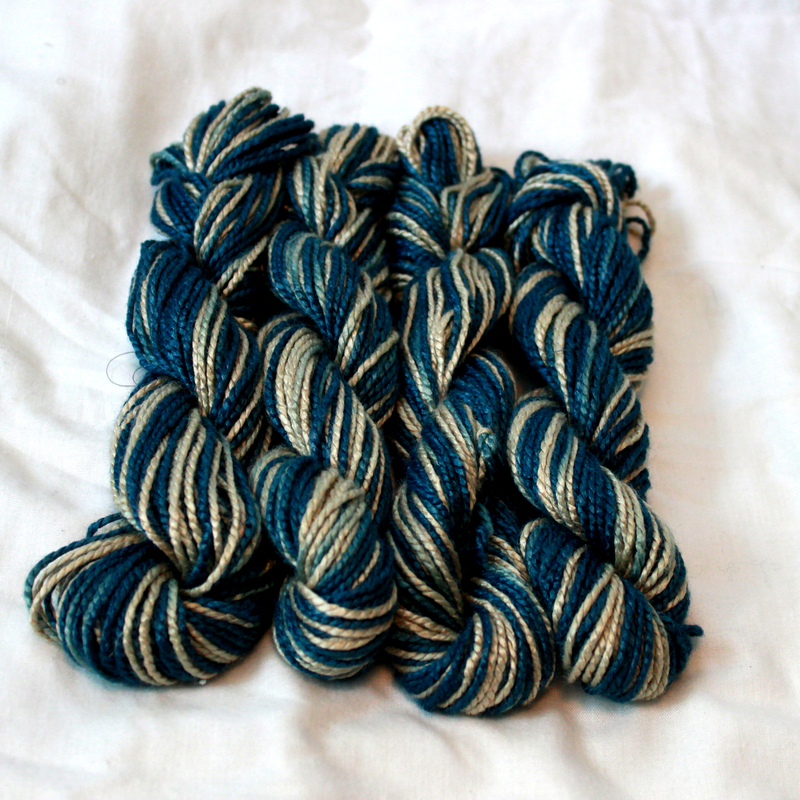 They are are all pure silk and silk-alpaca blends dyed with natural indigo in a variety of colorways: “Just Before Dawn,” a deep, semi-solid blue; “Summer Rain,” gentle transitions of soft light blues, from a natural cream to a middle indigo over a 63-inch gradient loop; and “Zebra Blue,” a self-striping yarn that alternates natural and deep blue sections.